With his own progressive / Old school touch, Dutch Don Diablo has been one of the top DJs in 2014. 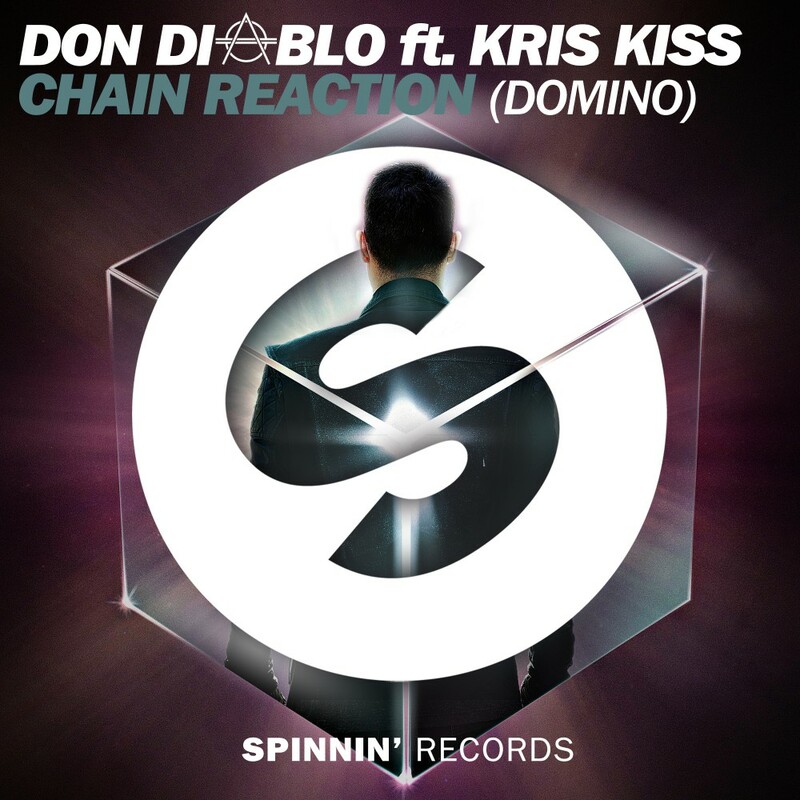 In order to start well 2015, the producer makes it happen again with “Chain Reaction (Domino)“, another quite groovy track with hip hop artist Kris Kiss. “Chain Reaction” is one these House-Electro-Hip-Hop mix that you want to have an ear on. Don Diablo‘s other creations such as ‘Anytime’, ‘Generations’ and ‘Back to Life’ prove that “Chain Reaction” is another taste of The Don Diablo style. With the rise of melodies and progressive sound, 2015 should be yet another good year for El Don. Don Pepijn Schipper was born in Coevorden, Netherlands. He started early with music signing his first record deal at age fifteen. At the end of 2005, Don Diablo founded his own record label and event brand, Sellout Sessions, raising his profile in his native country, the Netherlands. Don Diablo’s hectic tour schedule has taken him to UK, USA, Australia, Japan, Brazil, Israel, and playing at clubs and festivals like “Passion” club in London as resident DJ in 2002, to Ministry of Sound, Gatecrasher, Dancevalley, Godskitchen, Impulz, Mysteryland, Creamfields, Haoman 17, Turnmills, Innercity, Extrema Outdoorn, ElectroNation and Razzmatazz and Space (Ibiza) to name a few. Enjoying great diversity, he has produced for diverse number of artists such as Kelis, Alex Clare, Diplo, Example, Dragonette and Noisia. Other artists include Rox, Sidney Samson, Ou Est Le Swimming Pool and remixes for Tinie Tempah, Mika, The Chemical Brothers, Cassius, Gorillaz, Public Enemy, Iggy Pop, Plump DJs. In 2013 Diablo released his new songs on labels such as Axwell’s Axtone, Nicky Romero’s Protocol Recordings, Steve Angello’s Size X imprint and several tracks on the Spinnin’ Recordslabel. Warner Brothers had also asked Don to create the official theme song for the 2013 video game Batman: Arkham Origins. In 2014, Don is premiering with his brand new visual concept “The Hexagon” with Los Angeles-based visual company “VSquared Labs”, the creative brains behind the visual shows of Amon Tobin and Skrillex. In October of 2014, Don Diablo made a new entry at #82 in DJ Mag’s Top 100 DJs.